Hobo Nephews of Uncle Frank will be returning to Pizza Luce' in Duluth for a special New Year's Eve show. 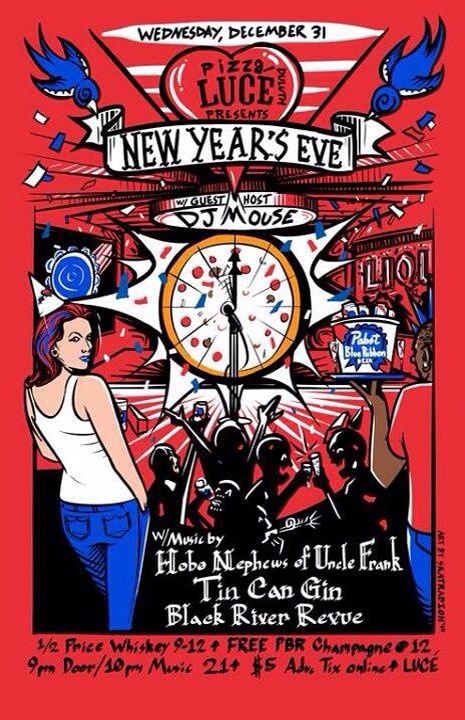 Tin Can Gin, Black River Revue and DJ Mouse will be along to help celebrate. © CONSIDER IT CORRESPONDENCE. 2019 ALL RIGHTS RESERVED.